Considered to be a major milestone in the history of Indian banking, Cheque Truncation System (CTS) aims to make cheque clearance more efficient and reduce the clearance time of cheques to one day, thereby trimming down the floating time considerably. India processes as many as 1.2 billions cheques annually and therefore, the implementation of this system would drastically cut down the waiting period involved. The system will be implemented nationwide from January 1, 2013. 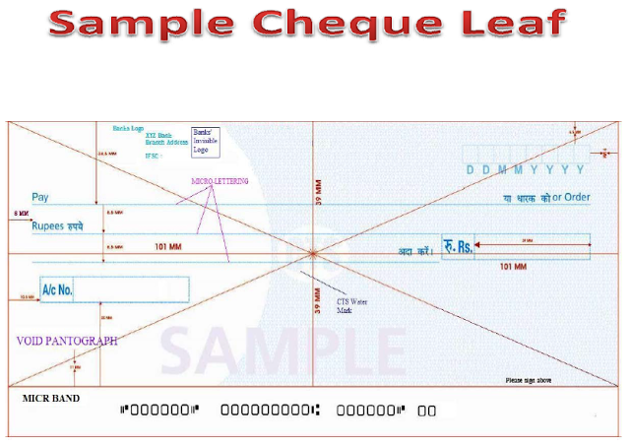 An online image-based cheque clearing system, the collecting bank branch would deploy scanned images along with the magnetic ink character (MICR) of the cheque which will be sent out electronically using their Capture System, removing the need for physical/manual transfer of cheques. The captured images and the data is then signed and encrypted and sent to the Clearing House or the central processing location and thereafter forwarded to the drawee or paying bank. This helps speed up the cheque collection process that eventually helps provide better and faster customer service. In cases where customers have issues post-dated cheques (PDC) for payment of monthly installments towards an ongoing loan, they would need to issue fresh cheques to the bank or service provider as per the new directive on CTS by the RBI. The replacement of these cheques needs to be done latest by December 31, 2012 and is applicable on all banks and NBFCs. If you have an old cheque with you, you should get it encashed by December 31, 2012. The RBI mandate states that payments for such cheques will be honoured only till then. Write the name of the payee, amount and the date and sign the cheque correctly. In case you use seals on the cheque, ensure that they are imprinted in a manner that they do not mask or hide the other important fields of the cheque. There are many benefits of the cheque truncation system from the perspective of a customer. Clearance cycle gets shortened - As this system is being implemented, the physical or manual movement of cheques for clearance has ceased. With cheques being transmitted electronically, the settlement process becomes quicker, facilitating reduction in the clearance cycle. The fear of loss of cheques during transfer from the collecting bank to the drawee or payee bank is eliminated. Limitations of the current clearance system with respect to jurisdiction and geography are eradicated. This enables integration and consolidation of several clearing locations across various banks offering different service levels into one standard clearance system applicable throughout the country. CTS helps reduce the scope of fraud significantly. Moreover, the electronic transmission is quick and allows early detection of fraud or any alteration with respect to the payee, amount or the issuer of the cheque. CTS prescribe minimum security features under ‘CTS-2010 standards’ along with superior verification process that further facilitates in the reduction of frauds. The operational efficiency of both the bank as well as the customer is enhanced with the introduction of this system.